Razer Synapse allows you to customise all the settings to your preference, save them in the cloud storage, and download at any moment. Some users would like to have more programmable buttons for some games. 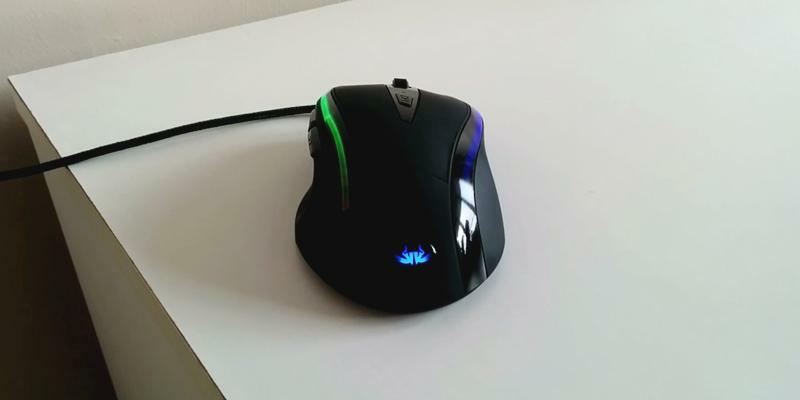 It's a perfect gaming mouse for gamers who participate in different online tournaments and want to download customised setting from Razor Synapse. 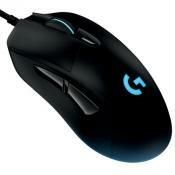 Logitech gaming mouse boasts the Ultra-Durable Build - you will be able to use it for years. Convenient DPI changer allows you to change the sensitivity at a single click. Advanced Delta Zero Sensor ensures incredible precision and speed. Though wireless connection is quite stable, some users would still prefer a wired version of this mouse. 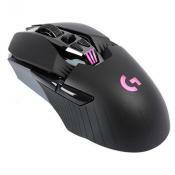 This is a superb gaming mouse for truly addicted fans of computer games who spend hours playing. 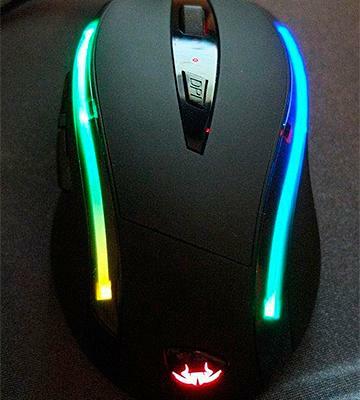 Two light strips make the design of the mouse really fantastic and eye-catching. Buttons might seem too sensitive, causing a bit of discomfort for some users. Stylish and attractive gaming mouse that will make a difference in any game. It will definitely help you win in all battles! 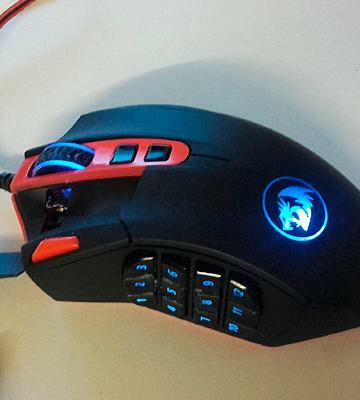 This TeckNet Gryphon model comes with a convenient keyboard tailored in the same style. The drivers for this gaming mouse aren't compatible with Windows 10. Upon purchasing this amazing set, you'll actually get two powerful and impressive gadgets to make any game a win. The specialised software allows you to save up to 5 different profiles that can be applied on multiple computers or shared with friends. 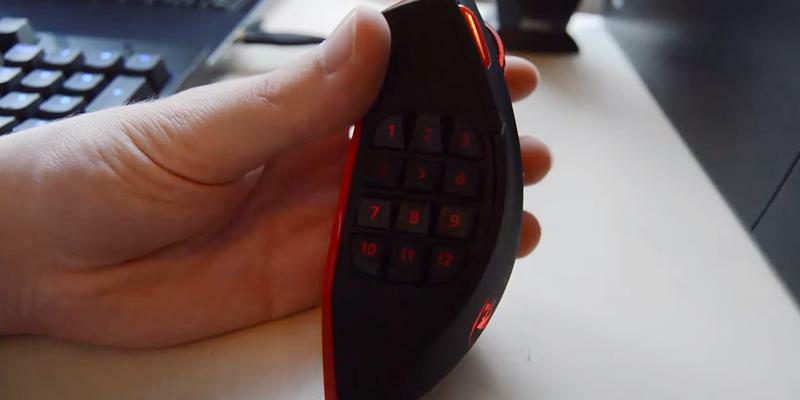 People with large palms might get a slight feel of discomfort when using this gaming mouse. This is an ideal model for those who need a large number of programmable buttons for MMORPG. Your every move in any game will be extra-fast! 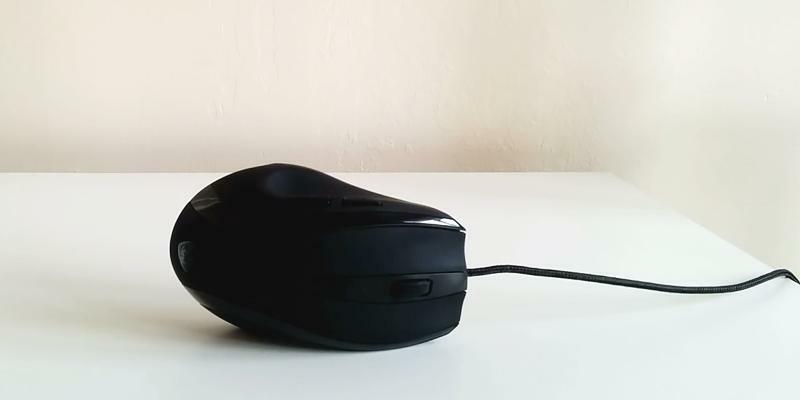 For an advanced gamer, a computer mouse is not only a gadget for a precise control but an accessory that emphasises his or her taste and style as well. A design of the model is a vital feature of a gaming mouse that everyone pays attention to when buying it. Apart from a comfortable gaming experience, Razer DeathAdder Chroma was designed to fully express your personality! A scroll and logo on the top can be illuminated by a great variety of colour schemes and you can synchronise them with other Razer devices. 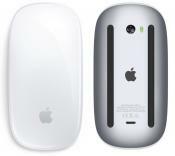 It is worth mentioning that perfect outer look isn't the only thing which makes the mouse perfect. 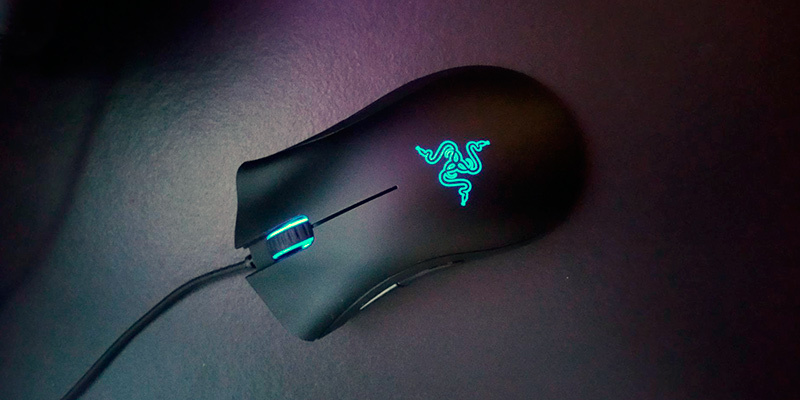 Likewise, Razer DeathAdder Chroma also features an advanced 10,000 DPI optical sensor which ensures the mouse speed of up to 300 inches per second and the acceleration of 50g. 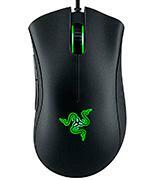 These features guarantee exceptional accuracy and astonishing gaming speed. Additionally, you'll be able to adjust mouse sensitivity in your own manner and win any game! 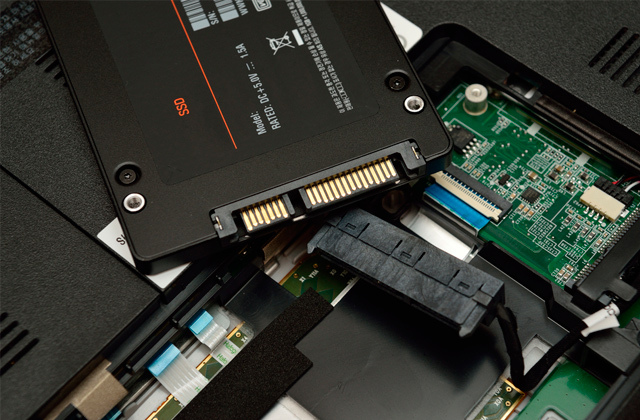 Many professionally engaged PC gamers who compete in different tournaments sometimes encounter problems with the configuration of necessary drivers. Razer Synapse will help you get rid of such issues once and for all! 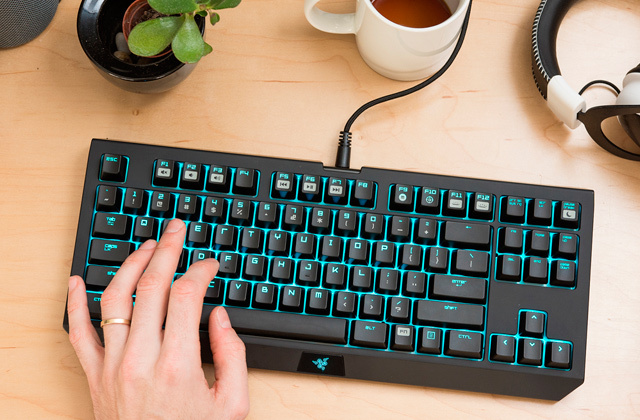 To customise buttons, everything you need is to register in Razer Synapse. After registration, you'll get a chance to save your configurations in the cloud. You no longer need to customise the settings each time you play on a different computer - just sign in to Razer Synapse to access them from your profile whenever your need! 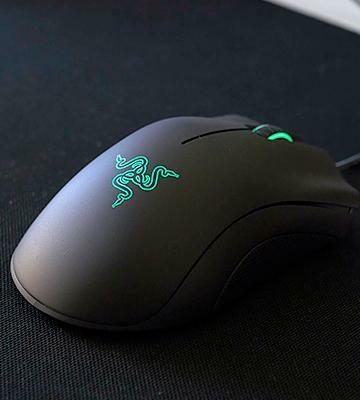 To sum it up, Razer DeathAdder Chroma Ergonomic Gaming Mouse is not only an astonishing example of individuality but an incredibly powerful tool for every gamer! 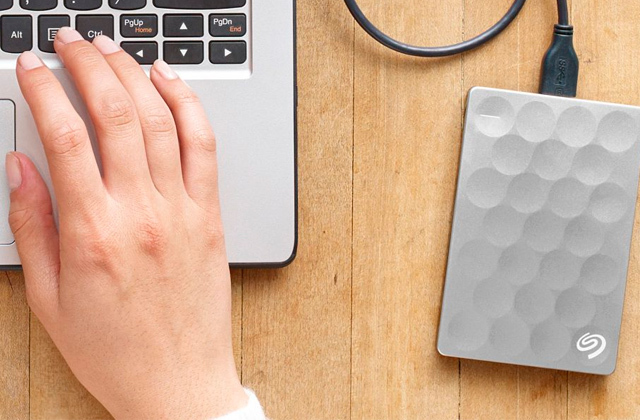 To use the mouse with the maximum convenience it is best to use it on a special pad. Feel the Power in Your Hand! Any gaming mouse isn't just a pointing device but also a powerful tool designed to help you win on different virtual battlefields. 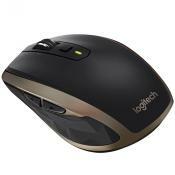 It seems difficult to meet a gamer who speaks negatively about Logitech products. 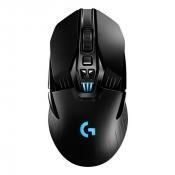 G602 Wireless Gaming Mouse is a perfect combination of innovative solutions and high quality. 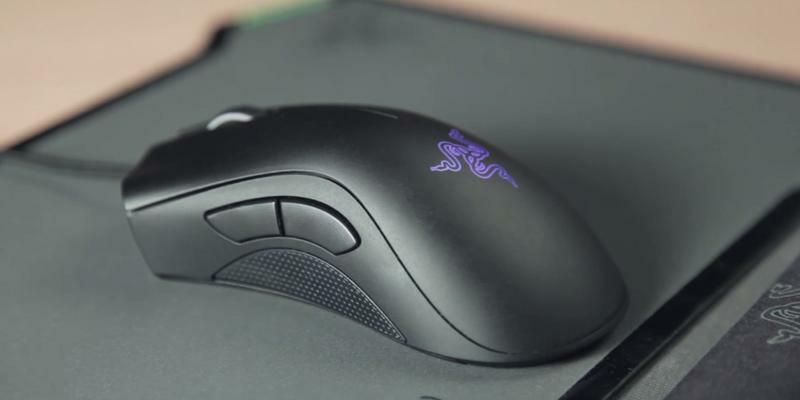 Featuring DELTA ZERO™ SENSOR, the mouse provides the highest accuracy of any hand movement. It doesn't matter what game you are playing! 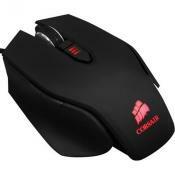 This amazing mouse allows choosing one of two operation modes - Performance and Endurance. 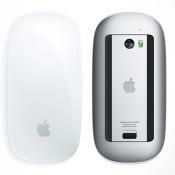 The first one is helpful for getting the maximum from the mouse - the sensor will work as effectively as possible. 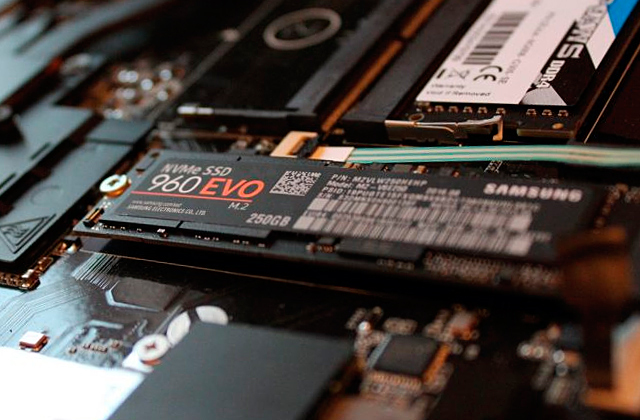 Switching to the Endurance mode, you'll save up the battery life for long hours of gaming. 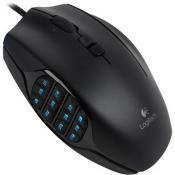 Thanks to Logitech Gaming Software, you have an excellent opportunity to assign special functions for each of 11 buttons. For example, if you need to change the sensitivity of the mouse for making a shot in some FPS game, you'll be able to do it with a click of a single button. It's so handy, isn't it? Logitech engineers have done their best to create the design of this gaming mouse, and we totally share the users' opinion that it's really convenient in use. Slip-resistant grips on the sides provide an easy control and allow high-speed manoeuvres. 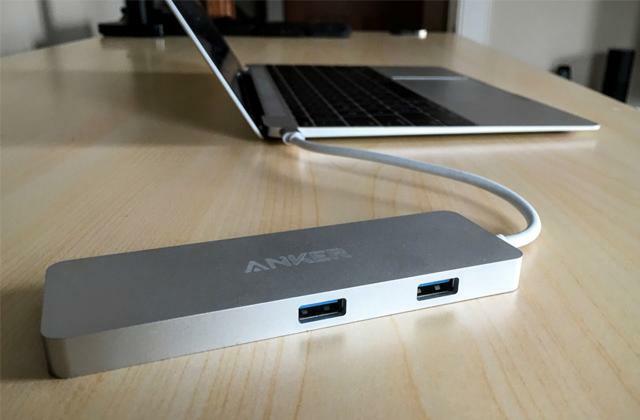 No need to say, this model works wirelessly so you need just to plug the special nano receiver into any available USB port. 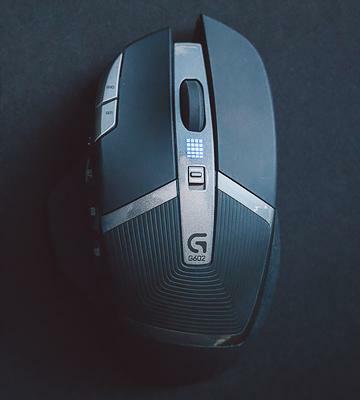 Logitech G602 Wireless Gaming Mouse ensures lag-free experience through a 2.4 GHz wireless connection with a 2-millisecond response rate! 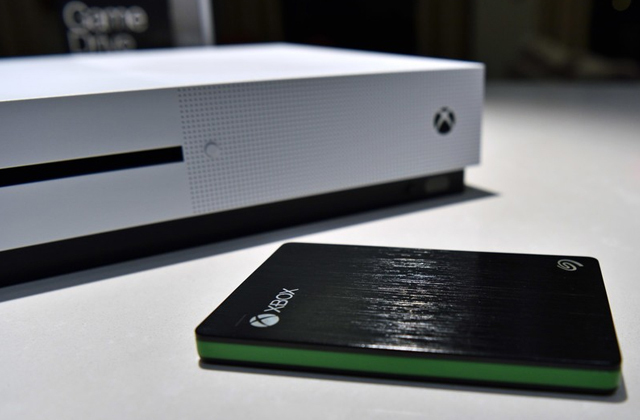 Finally, a battery lasts up to 250 hours of non-stop gaming even in the Performance mode! 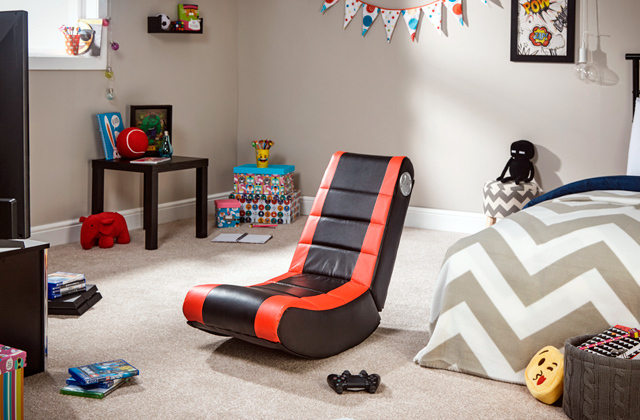 Would you like to immerse in the world of 3D games? Then, virtual reality headsets are for you. Although Sumvision Kata Gaming Mouse design doesn't look unusual, there's no chance you would not recognize it. 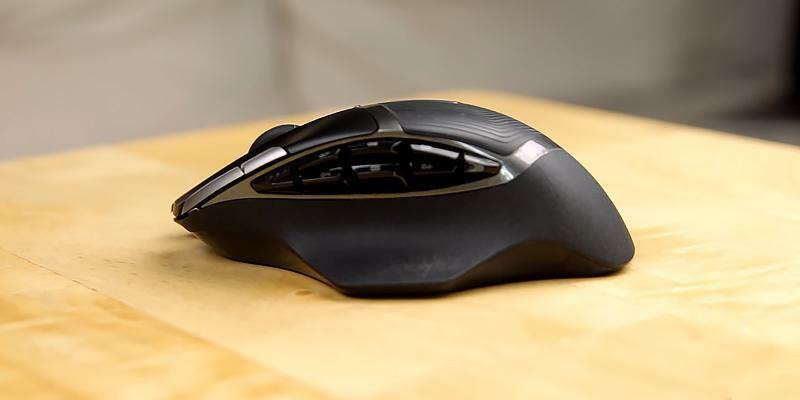 This is an ergonomic mouse with a textured rubber grip which makes it extremely comfortable to hold for right-handed users. Apart from usual left/right and middle buttons, it has two additional buttons on the left side. 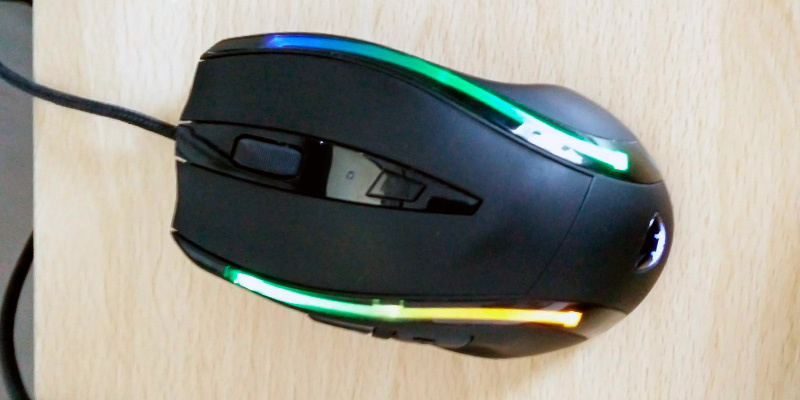 Two LED strips on both sides of the mouse glow green/yellow and green/blue. Additionally, the illuminated logo looks really mesmerising. 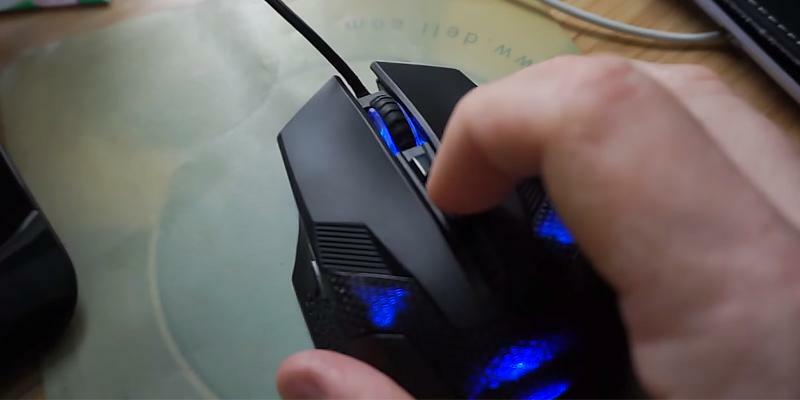 This gaming mouse has an astonishing feature - adjustable mouse weight. Thanks to the included weights, you can customise the mouse for your personal use! All you need here is to choose one of 3 interchangeable weights (6g, 12g, and 18g). 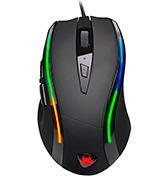 Likewise, Sumvision Kata High Precision Gaming Mouse allows adjusting each of 6 buttons as you wish! The special software is very easy to use and gives you the opportunity to save the settings in up to 5 various profiles. 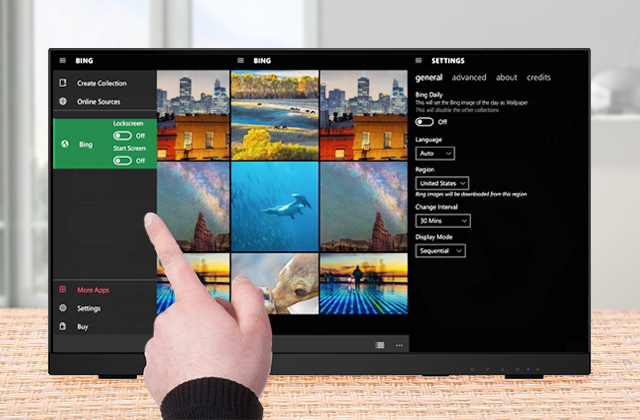 There is no longer need to configure the settings each time! 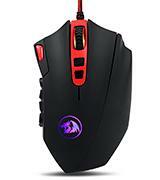 In our view, this gaming mouse is very easy in operation as well as configuration. At the same time, it has all necessary features for the highest precision regardless of the game you're playing. 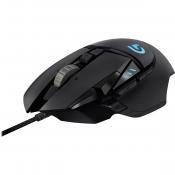 An excellent price to quality ratio makes this gaming mouse the perfect choice for almost everyone! The International Dota 2 Championship is probably the most famous annual world championship in the eSports industry. This game has already become popular worldwide and teams from all over the world compete in strategy and tactics. International Dota 2 Competition is also famous for huge prize funds which in 2016, for example, reached over $20.7 million. The first place was taken by Wings Gaming, a Chinese professional Dota 2 team best known for their aggressive playing. Two American teams, Digital Chaos and Evil Geniuses, took the second and third places respectively! Let's also say a few words about Evil Geniuses - one of the players of the team is a Pakistan-born Syed Sumail Hassan who became the youngest cyber sportsman in 2015 and received a prize of over $1 million. Moreover, a 16-year-old Syed was listed in the Guinness Book of Records. A backlit keyboard will become a convenient addition for your gaming sessions, web browsing, and working on a computer. There is no need to say that apart from an ideal gaming desktop, the right mouse and keyboard are essential for an astonishing gaming experience. 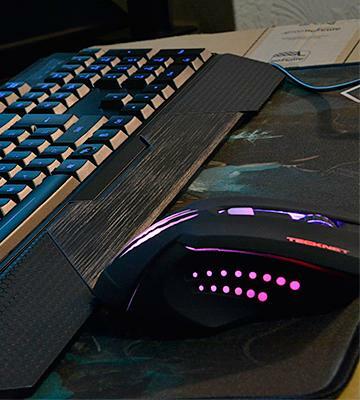 Moreover, it's always great to have these two peripherals that match each other's style. TeckNet Gryphon Pro Illuminated Programmable Gaming Keyboard and Mouse aren't typical gaming devices but a wonderful set that will allow you to play at the highest level. 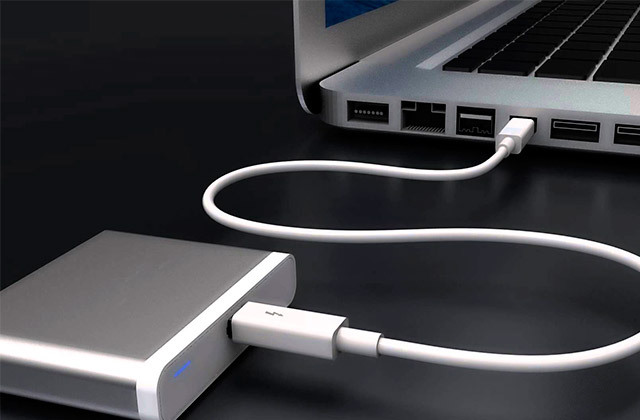 Pretty long 1.5m cables plug into USB ports and guarantee a lag-free gaming. 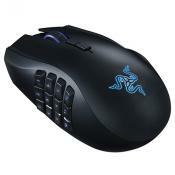 Like the keyboard, the mouse was designed in an extremely aggressive style and made from high-quality and sturdy plastic. The gaming keyboard is illuminated in three different colours and synchronised with a backlighting of the mouse. Finally, the mouse features a built-in 40g weight which is very helpful in any computer game. The precision of a mouse is utterly important and it actually doesn't matter what game you are playing - a shooter or a strategy. Often, the accuracy of movements affects the result of a battle. 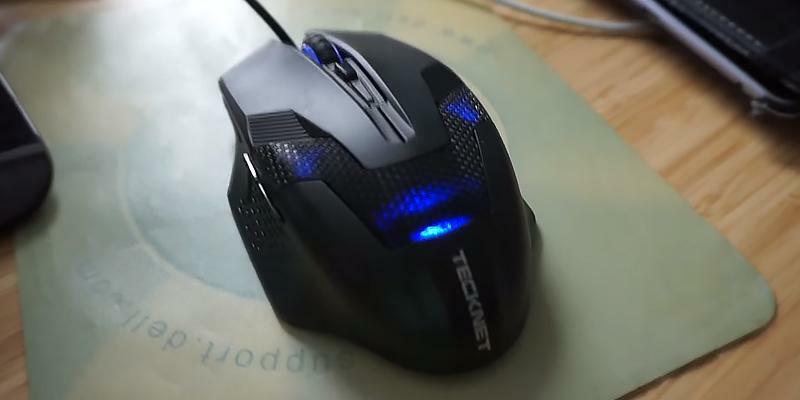 Since TeckNet M268-Black Raptor Mouse has the exclusive True-Wave optical sensor with an adjustable sensitivity, you'll have no equal in any tournament! All 6 buttons were designed to give you the best control during the game! 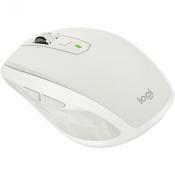 You can adjust the DPI level by means of a special button in the front part of the mouse. Several modes are available to you: from 1,000 to 2,000 DPI. The remaining 5 buttons can be assigned to any function you choose via a special application. 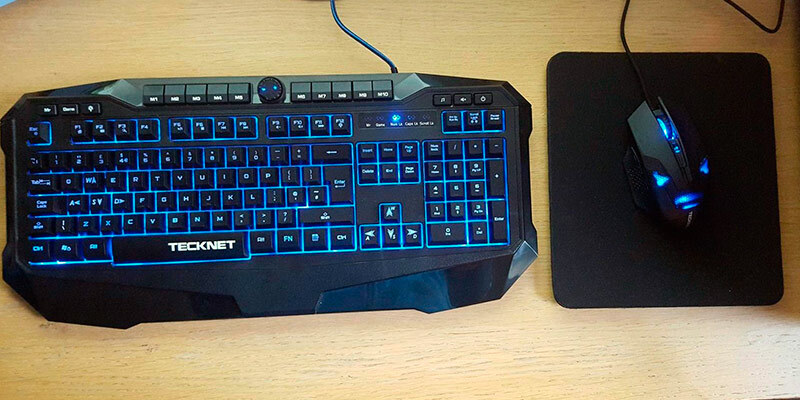 We'd like to add that this keyboard and mouse set is capable of resolving two issues at once! At first, you get two things that look incredibly stylish and complement each other. Secondly, you get the excellent opportunity to take advantage of absolutely powerful and comfortable tools that help you win! 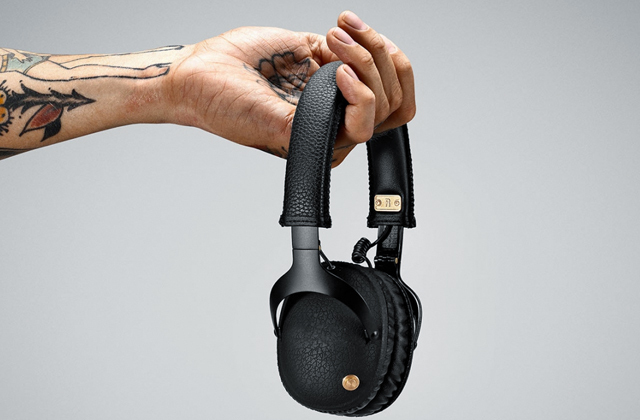 Equip your gaming workspace with the right headphones to drift into gaming completely. 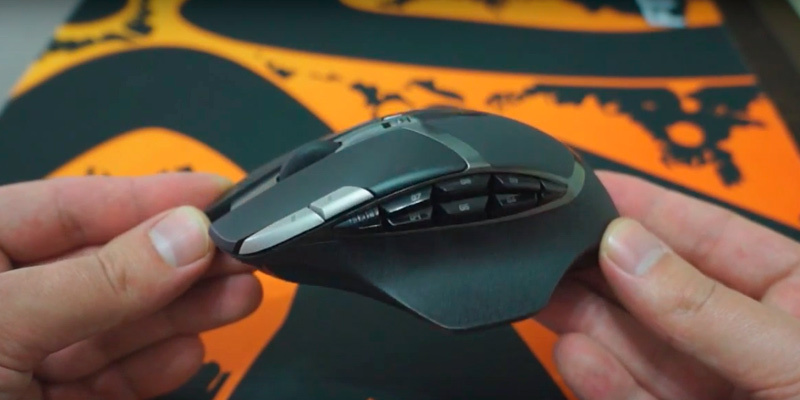 As you might know, the sensitivity of a mouse is one of the crucial features and our team tried to find the model with the best possible DPI rate. 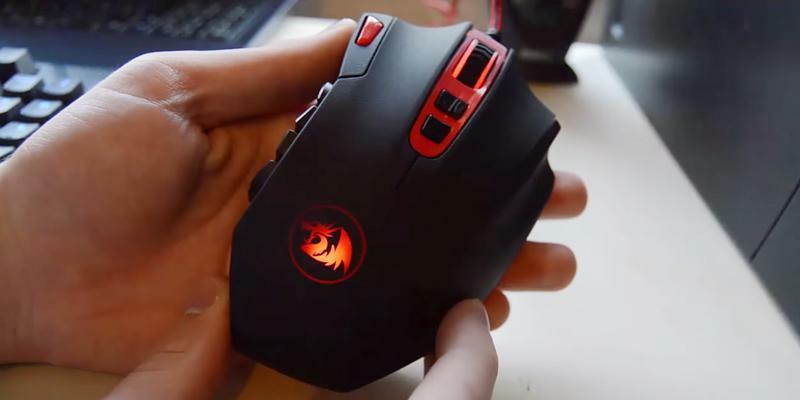 Based on the testing results, we decided to opt for Redragon Perdition Laser Gaming Mouse. It features the superb Avago laser sensor which provides an extraordinary accurate cursor control with an incredible 16,400 DPI. Likewise, you can choose the DPI according to your gaming style: 1,000/2,000/4,000/8,200! As it turned out, the DPI rate can be changed via any button, however, players often adjust it by means of the top buttons of the mouse for more convenience. Another huge advantage of the model is that it allows you to customise its weight. 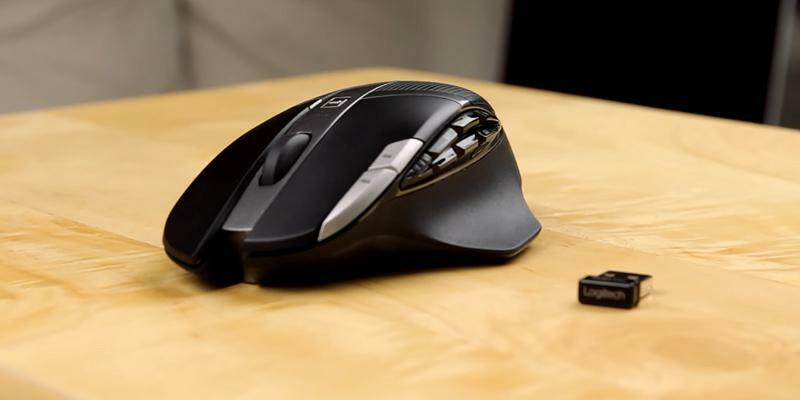 The mouse features a special cartridge with an 8-piece weight tuning set (8 x 2.4g). So, all you need to do is just choose the right weight! There is an ultimate advantage for those who love gaming in different MMO RPG. MMO RPG is an online role-playing multiplayer game which allows thousands of gamers to play at the same time via the Internet. 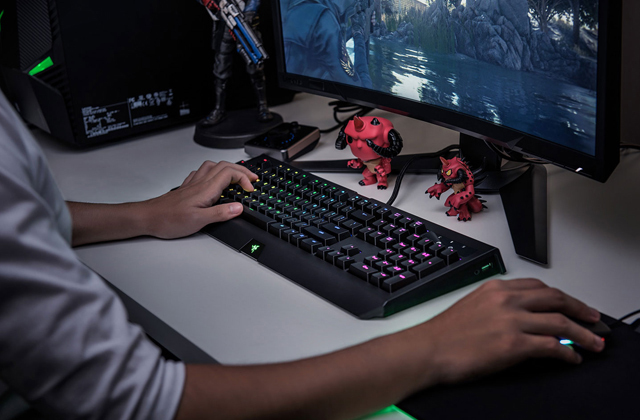 Redragon Perdition keyboard has 12 programmable illuminated side buttons that activate even more cool functions exactly for this type of games. The arrangement of thumb buttons, their shape and angle seem to be perfect. 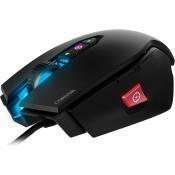 Likewise, this mouse is an ideal option for shooters. The convenient fire button for an index finger will kill all your enemies! Thanks to this button, a sniper will be able to fire single accurate shots! Therefore, we can summarise that this mouse suits any gamer perfectly! It doesn't matter what game you're going to play, you'll be able to save up to 5 profiles with customised settings and even share them with your friends! 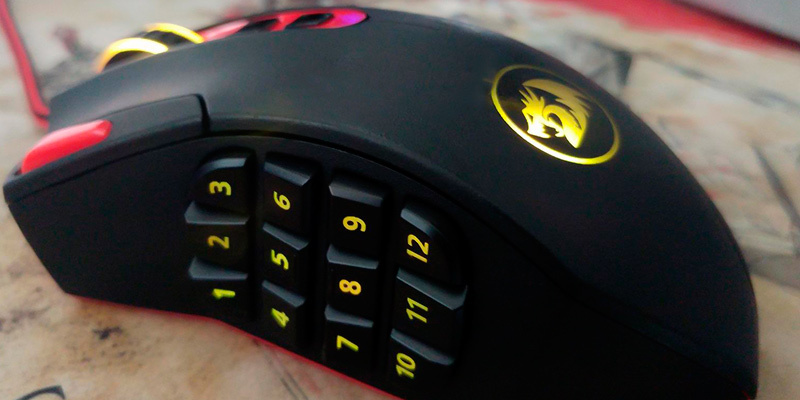 If you like playing FPS games, we'd like to suggest you get a mini gaming keypad. A modern video game is a real piece of art, but if you want to maximise your gaming experience, you need to have a good gaming mouse which is totally different from a conventional mouse for everyday use. Any computer mouse is a peripheral device that turns movements of your hand into movements of a pointer on a screen. Mouse devices are really widespread today and it's difficult to find a computer owner who doesn't use one. If you like playing, but your old PC can't handle the newest video games, consider getting gaming laptop from our review. Also, you can choose additional accessories in our webcams and computer speakers reviews. The first thing you need to consider is the Precision of a gaming mouse; this feature is also called resolution that the sensor supports. The sensor itself is usually either laser or optical - precision of the mouse device depends on the sensor and its quality. Precision, or resolution, is measured in DPI (dots per inch) and that’s the key factor all gamers pay attention to. In general, the precision of a sensor reaches 5,600 DPI and even more. 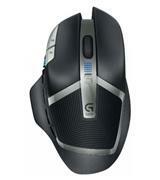 However, a medium level for a gaming mouse is around 3,000 DPI - that’s enough for ‘slow’ and ‘fast’ games. Next, you need to consider the ergonomics of every gaming mouse, by which we mean the design, materials it’s made of, and weight. The majority of gamers pay major attention to the Weight. A lightweight mouse will perform in 'dynamic games' better whereas a heavier device will ensure a higher precision of movements. The ideal choice is the gaming mouse with adjustable weight. 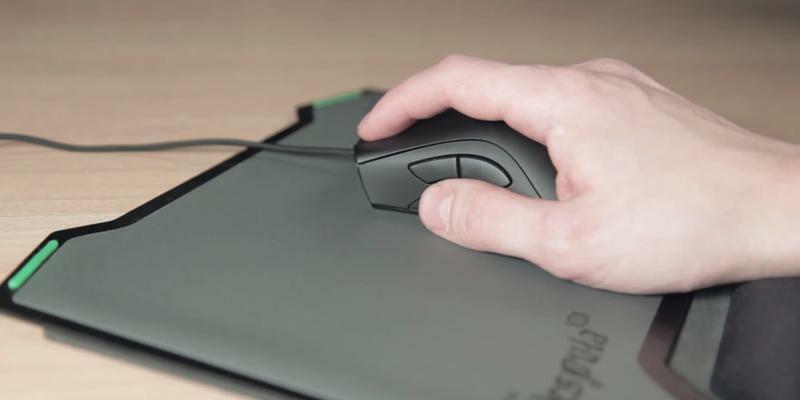 When talking about design and shape, most gaming mouse devices are either created for left-handers, or for right-handers, but also there are plenty of mouse devices for both. For the utmost convenience, make sure to choose the mouse with accordance to your dominant hand - don’t hesitate to pick the mouse for right-handers instead of a model for both hands if your dominant hand is right. The optimal size of the mouse depends on how big your palm is. In general, you should be able to easily reach every button of a mouse. Also, consider how responsive the buttons are when you push them. Overly hard-to-push or, on the contrary, too soft buttons aren’t comfortable for game players. Finally, make sure to check the material that a mouse is made of - some models are made of pure plastic, whereas others have some rubber parts so as to provide tight fit in your palm. Programmable Buttons are the next thing on the list to check on. The more buttons a mouse has, the more gaming opportunities you will have. You can program the buttons to trigger certain actions right in the game without a need to spend precious time on finding the relevant buttons on the keyboard. Some gaming mouse devices can even create so-called macros (a sequence of actions), which is a major benefit for playing games. But if you don’t know how to do it and won’t use this option, you’d better chose a simpler gaming mouse and save some money up. 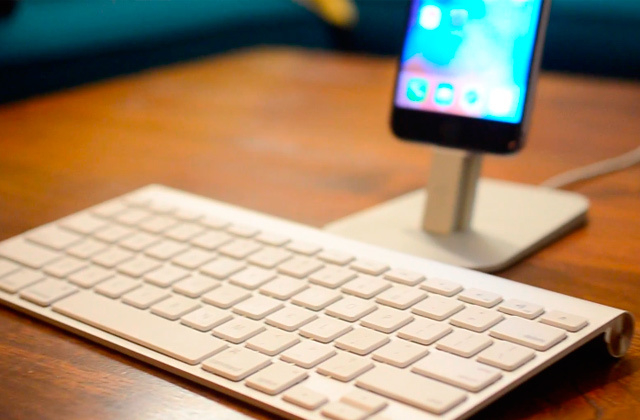 The final feature you need to consider is the Connection Type: there are wired devices and cordless devices (which have a wireless connection). As usual, most gaming mouse devices are wired because this type of connection is more reliable, lag- and interference-free. However, make sure to check the cord length - the longer the cord is, the more convenient in use a mouse will be. 1. Salman Patwegar How To Choose The Right Mouse Foк Your Computer, Techbout. January 19, 2016. 2. Nachiket Mhatre All you need to know about gaming mice, TECH2. September 6, 2012. 3. Marshall Honorof How to Buy a Gaming Mouse, Tom's Guide. February 2, 2016. 4. How to Pick a Good Gaming Mouse, wikiHow. 5. How to Pick a Gaming Mouse, eBay. May 22, 2015. 6. Lisa Johnston Before You Buy a Mouse, About Tech. 7. Mouse DPI and Polling Rates Explained: Do They Matter for Gaming?, How-To Geek. 8. 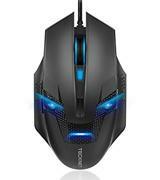 How Do I Choose a Good Gaming Mouse, Inbox. January 10, 2012. 9. Wes Fenlon Gaming mouse myths busted, PC Gamer. April 22, 2015. 10. Chris Hoffman Mouse DPI and Polling Rates Explained: Do They Matter for Gaming?, How-To Geek. February 15, 2014.